Camille loves skateboarding, but has been seriously hurt, so her mother has forbidden her this dangerous hobby. Camille starts to hide with the skateboard and joins a local girls skate crew in New York. She gets into the core of a skateboard comunity and improves her performance, but doing this destroys relationship with her mother. The movie inspired by the true story of skateboarding girls, who has also played in this film. 7.4.2019 Banatova inserted filming location Houses of the Movie Skate Kitchen. 7.4.2019 Banatova inserted filming location Obstacles of the Movie Skate Kitchen. 7.4.2019 Banatova inserted filming location Downtown of the Movie Skate Kitchen. 7.4.2019 Banatova inserted filming location Square of the Movie Skate Kitchen. 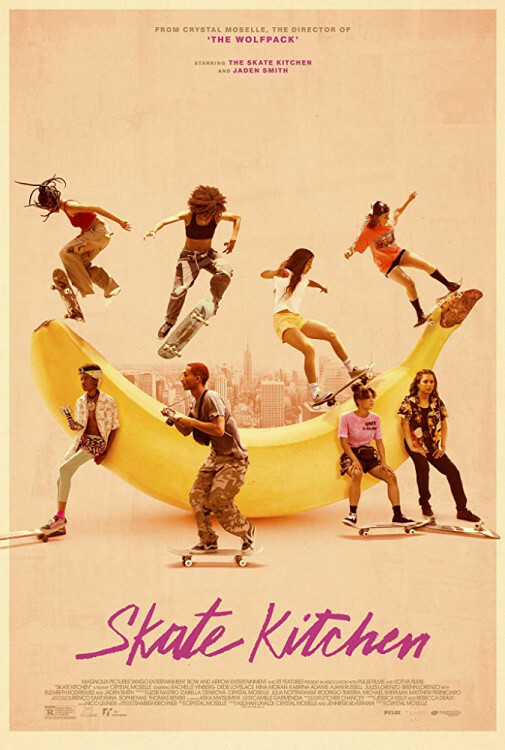 7.4.2019 Banatova inserted filming location City of the Movie Skate Kitchen. 7.4.2019 Banatova inserted filming location Road of the Movie Skate Kitchen. 7.4.2019 Banatova inserted filming location Skate park of the Movie Skate Kitchen.